Today IS a Happy Monday...besides today being my birthday (yippee! ), it's time for a new Merry Monday Christmas Card Challenge!! Bonnie is our hostess this week and has a wonderful, traditional challenge for us: Use a wreath on your card!! I love wreaths and had a hard time choosing just one from my "collection", but I decided upon one of my favorites...this die from Tim Holtz. I'm looking forwards to seeing what YOU create this week! The Design Team has some beautiful inspiration for you -- be sure to check out the challenge blog! Happy Happy Birthday to you, Kathy! 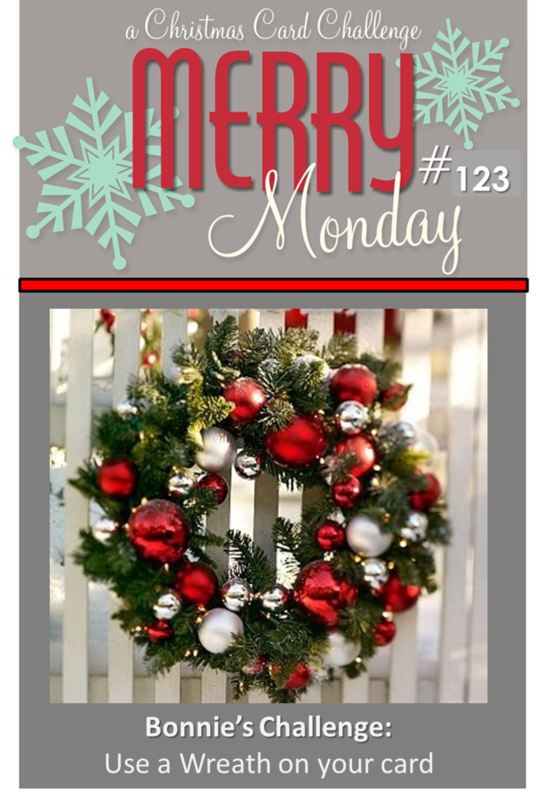 I love the rich colors you used and the dimension on your wreath and bow are just gorgeous - love this! I hadn't seen this wreath before and I love it! What wonderful dimension! Love the layout a the perfect pearl brad! Happy Birthday, Kathy! Hope you have a good week! I love wreaths & wow--this is one of my favorites! Gorgeous card, Kathy! Beautiful Christmas Card! Love the your 3-D Wreath and paper bow. I don't know what I like more. The embossed background, the graphic images or the cool wreath. This is great all around! You do the most amazing things with die-cuts, Kathy and this is just gorgeous! Fantastic card Kathy, love love your wreath with its wonderful bow. Such a beautiful wreath Kathy!! I hope you had a fantastic birthday!! That wreath die is AWESOME! One of the prettiest I've ever seen. Love the color combo you used! 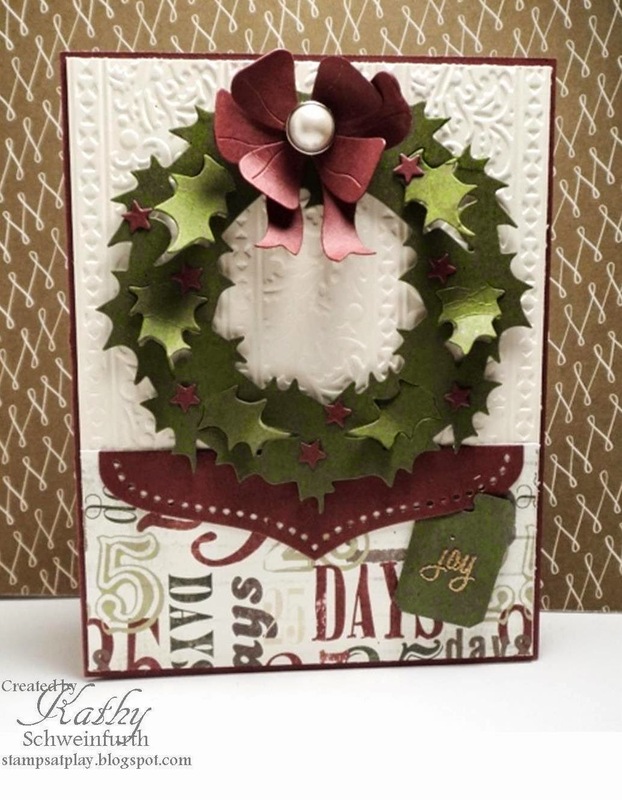 Wow--I adore that wreath die & your card is fabulous!